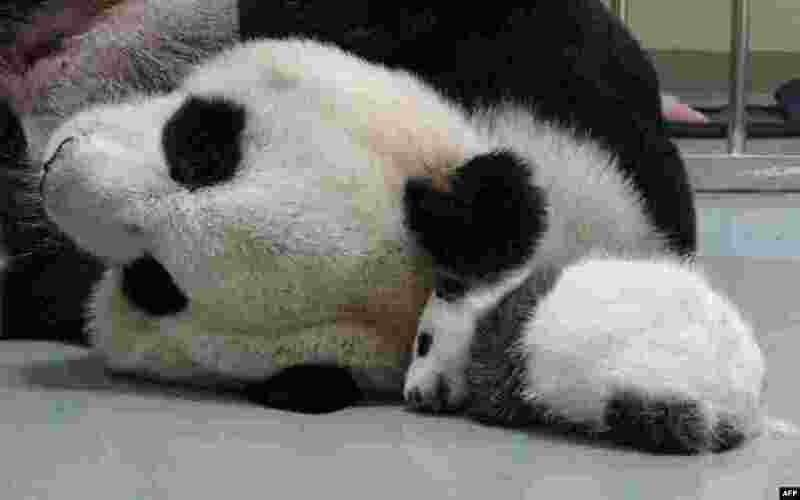 1 Giant panda Yuan Yuan sleeps next to her baby panda at the Taipei City Zoo, Taiwan. 2 With the U.S. Navy's well deck ship USS Arlington stationed against its pier at Naval Station Norfolk in Virginia, divers in small boats approach a test version of NASA's Orion crew module during the stationary recovery test. 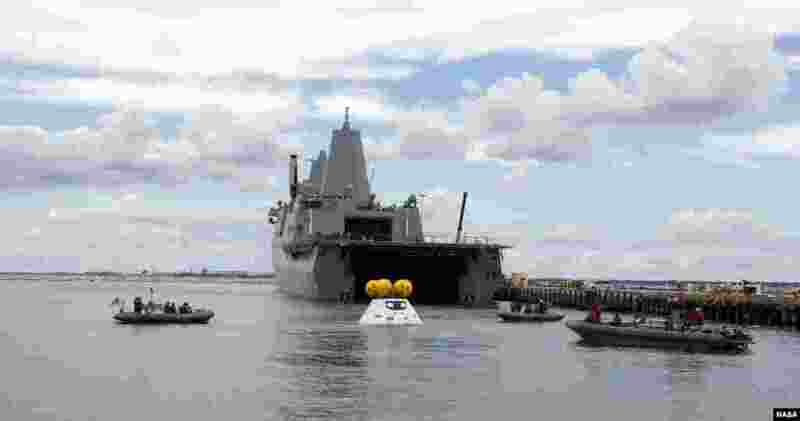 The test is helping to ensure that when Orion returns from deep space missions and splashes down in the Pacific Ocean. 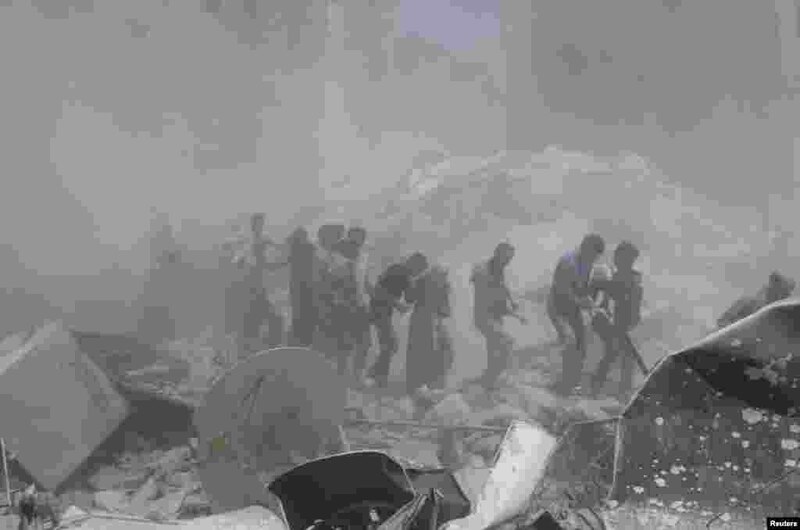 3 Men help evacuate civilians at a site hit by what activists said was shelling by forces loyal to Syria's President Bashar al-Assad in Aleppo's Bustan al-Qasr district. 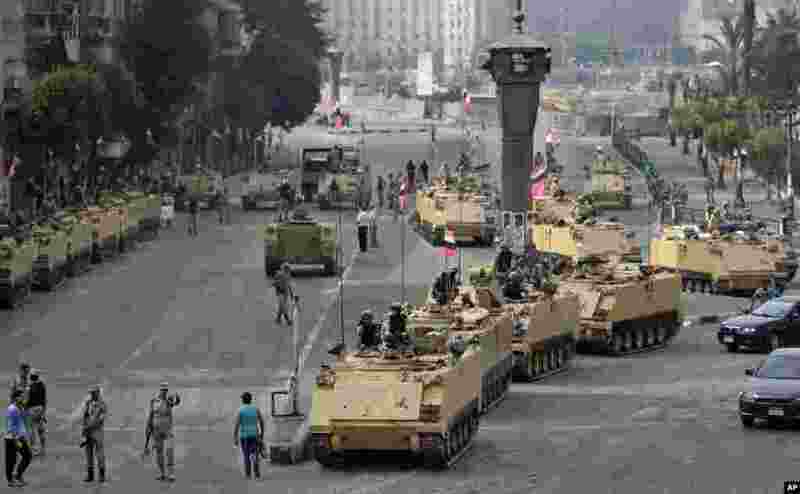 4 Egyptian army soldiers take their positions on top and next to their armored vehicles while guarding an entrance to Tahrir square, in Cairo.